We all know Silicon Valley is the mecca of technology and, of course, this applies too,for the business intelligence (BI) and analytics market, as it concentrates many of its vendors. Still, it is not hard to realize that around the world we can find tech companies developing innovative technology and software in many areas of the data management space, both already consolidated companies and vibrant startups looking to disrupt the market. While for many people it’s not a surprise the relevant role some Canadian companies have played in the evolution of the business intelligence (BI) and analytics market, for some, it is still unclear which companies in Canada are setting a mark for the evolution of local Canadian data management technology. Based in Markham, Ontario. 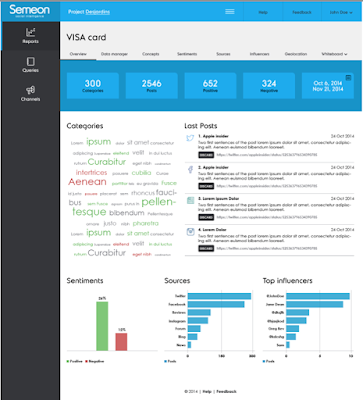 Core Analytx is the developer of OnTime Analytics, the company’s flagship product and main analytics offering. With its solution being offered in three flavors: standard (SAAS based), enterprise (on-premises, as well as on private cloud) the company aims to encourage, guide and assist organizations with the implementation of analytics centric processes. Core Analytx develops its proprietary technology with the principles of ease of use and self-service approach and, the provision of practical and efficient analytics products and services to serve organizations from different industries and lines of business. 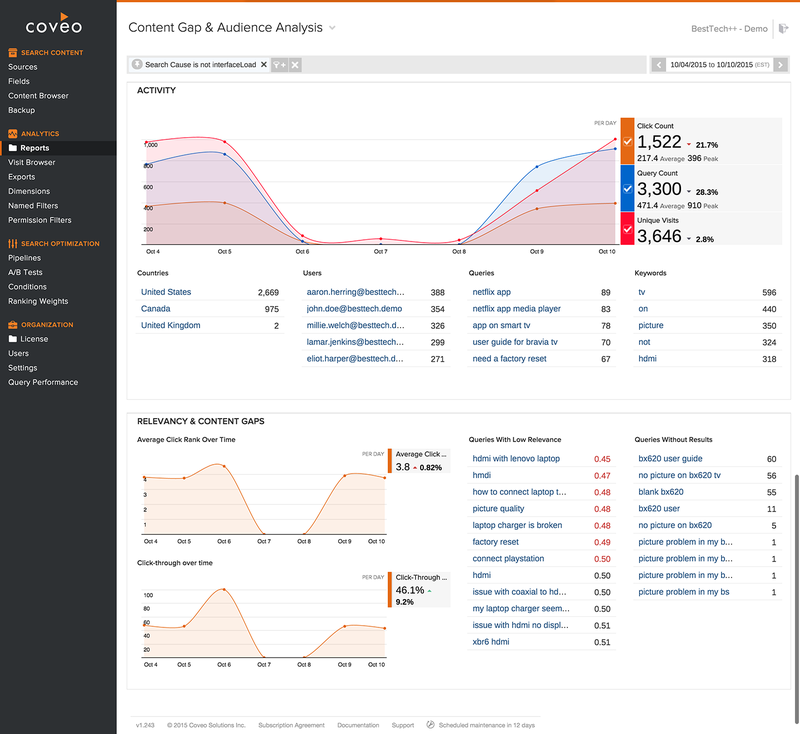 Coveo is a company with a great deal of experience when it comes to search, identify and provide contextual information to end users. Based in Quebec City, its flagship Intelligent Search Platform offers uses number of data analysis and management capabilities bundled under Coveo AI™ proprietary technology. With this technology, Coveo can search, find and deliver predictive insights across different cloud and on-premises systems. Already well known for being a provider of enterprise search solutions, the company has expanded its solution to offer much more, using its now cloud-based solution. Coveo includes partnerships with key software companies to allow its platform to integrate and work with data from Microsoft, Sitecore and Salesforce.com. For over 20 years, DMTI Spatial has been providing industry leading location economics and Master Address Management (MAM) solutions to Global 2000 companies and government agencies, it is also the creator of CanMap mapping solutions and the award-winning Location Hub. DMTI Spatial is headquartered in Markham, Ontario. 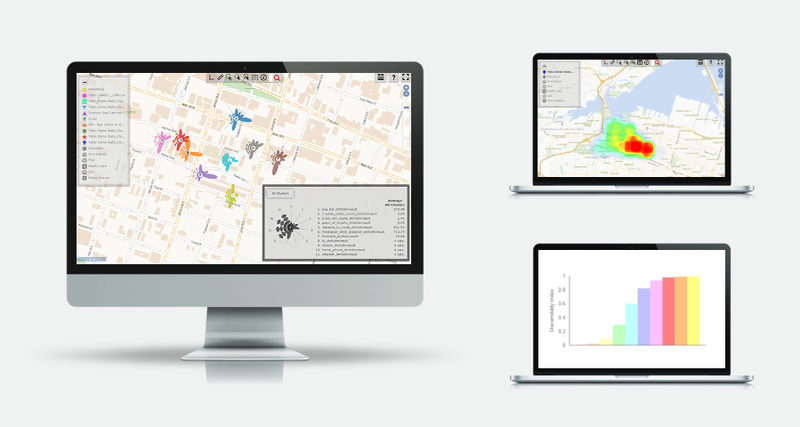 Location Hub Analytics is a self-service data analytics engine that provides Canada’s robust, accurate and up-to-date location-based data. Dundas is an experienced company in the business intelligence scene. 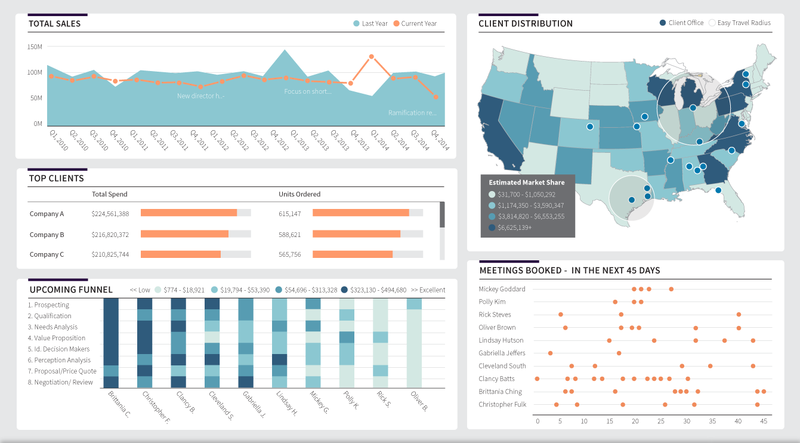 Headquartered in Toronto, the company offers, via its now flagship product Dundas BI a robust BI and analytics platform. With its BI solution, Dundas aims to give users full control over their data so it can be quickly delivered in the most actionable way. Dundas BI platform enables organizations to work with data, prepare it and transform it and subsequently enable its visual exploration within dashboards, reports and visual data analytics tools. Also, worth to mention is Dundas’ success relies on its ability to build a solution with a wide amount of built-in functionality, and a rich set of open APIs. 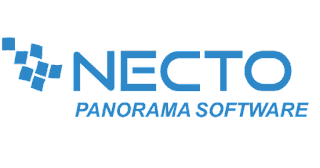 Necto is Panorama Software’s full BI and analytics solution. 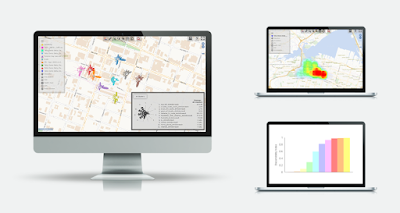 The Toronto based company has offices in the US, UK and Israel, the company develops a business intelligence and analytics solution that offers automated analysis and recommendations which are easily disseminated throughout the organization. With a fully customizable layout that can be modified to fit within many organization’s language and with easy point and click functionality, Panorama aims with Necto to take collaboration to the next level with the best business intelligence reporting tools that communicates real data. With great deal of experience in the machine learning and artificial intelligence (AI) R&D within its corridors and offices, Montreal based Semeon develops next generation cloud-based “AI Linguistic” text analytics platform solution Semeon Insights to service businesses interested in better understanding what is being said about their brand, company, products, staff, competitors, and more. All Semeon’s solutions are developed using its series of patented Semantic Algorithms which can determine the sentiment, intent, and predictive behaviors of clients, buyers or customers. Sifts through public (Social Media, forums, blogs, review sites) as well as private data (CRM data, Customer Service data) to enhance customer-driven campaigns. Leverage concepts and opinions that drive public perception to fuel content creation teams and boost ROI as well as glean insights from competitor’s digital campaigns. So, in the second part of this series I will include some other start-ups and projects that will caught your attention with their innovation and opportunity for both using them or build business with them. In the meantime and considering I might be leaving some companies out, please feel free to let me know your comments or the name of new Canadian analytics solution we all should know about.